Big discounts on themed wedding invitations, every day. Your wedding. The most special day of your life, and you want everything to be perfect. That starts with just the right theme for your wedding. Your invitations are the first glimpse your guests get at your wedding, so you want them to be special, unique, and represent your dream wedding. Our large selection of themed wedding invitations and other stationery can get you started well on your way to a perfect day. But there is so much to arrange, and every bride has a limit to their budget. Our goal at Unique and Special Wedding is to get you the perfect wedding invitations, Save the Date cards, stamps and all other wedding stationery at the lowest prices. 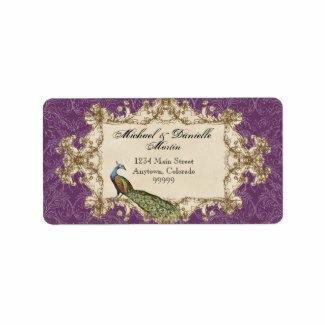 At Zazzle you will get a volume discount based on the number of invitation cards your order. For example, order 50 cards and automatically receive a 25% discount. 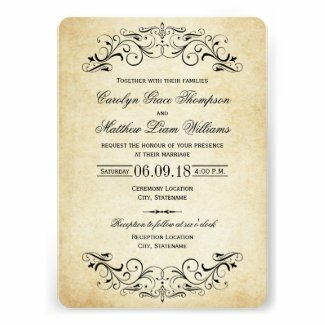 MORE WAYS TO SAVE: Always check out our latest blog post for the most current additional coupon discount codes for wedding invitations. There are often coupons for 15%, 25%, even 50% off invitations and cards. Volume discounts and coupon codes may not be combined. Peacocks have long been admired for their beautiful colors and elegant style. 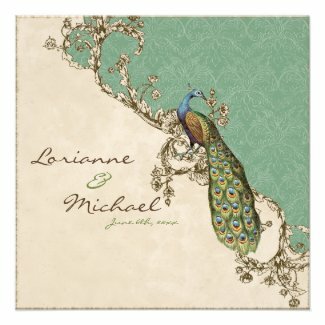 Peacock wedding themes are extremely popular. In this blog post I will feature the designs from Audrey Jeanne Roberts. Her designs are elegantly beautiful and employ elements that are both vintage and modern. This one is my favorite! It is a new design in her store, and there are many matching accessories, cards, and postage. It is also available in several colorways as shown below. If you would like a slightly more modern feel, Audrey Jeanne offers this design of peacock feathers, also available in many colorways and accessories. 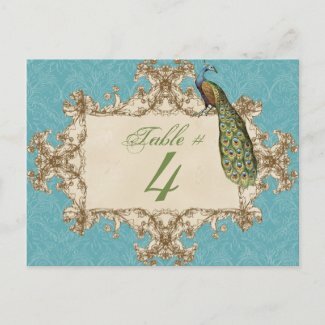 And for a more whimsical style, this stately peacock style will bring a smile to the faces of your guests. 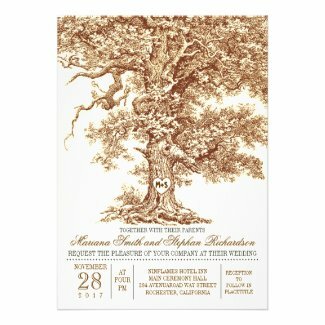 You can see all of Audrey Jeanne Robert's wedding invitation designs at her store, Audrey Jeanne. Which designs are your favorite? Leave your comment below!